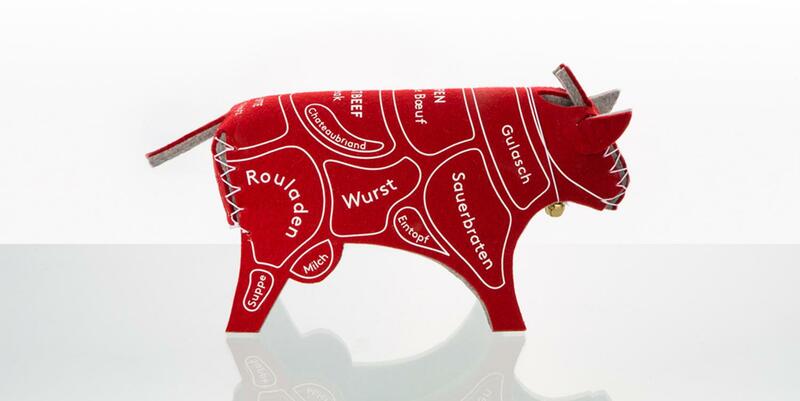 The «Wendetiere» show you where the meat from your plate comes from. 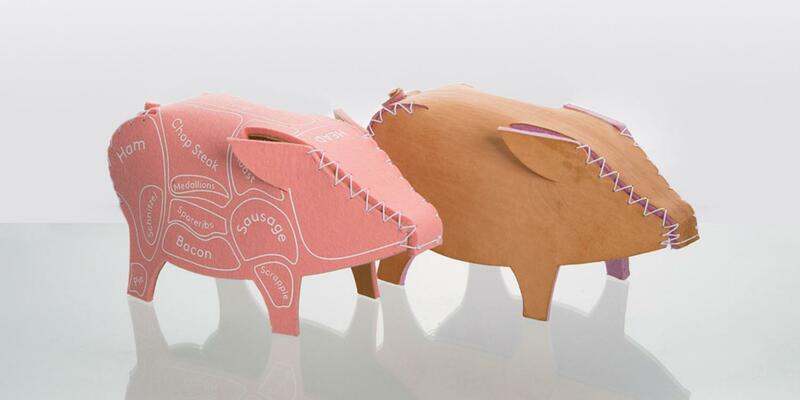 The cow «Berta» & the pig «Franz» are playful teaching aids. The idea of the «Wendetiere» arose from the sentence «Today we eat a cow!» that I’ve picked up over lunch in a day-care centre, and that left a mild shock not only with the children. Now I want to produce a small series and thus create more awareness of our meat consumption. One day in a German day-care centre the following situation occurred. It was midday and the children had lunchtime. Everybody got its plate. The carer served the dishes and asked the kids to guess what they will eat today. The group recognized that they have besides rice, carrots, peas and sauce, meat on their plates. The educator wanted to know where the meat comes from. The children said, «From the supermarket. » «But where does it come from actually?» «From the supermarket! » Then the educator revealed, «Today we eat a cow!» The children started laughing and replied that this could only be nonsense. Seeing this real scenario it was obvious for me to create something that reacts to the problematic of our unconsciousness towards food and its origin. Something that helps to form an individual and informed decision on what we want to eat or not, something that helps to connect humans (again) to their environment. 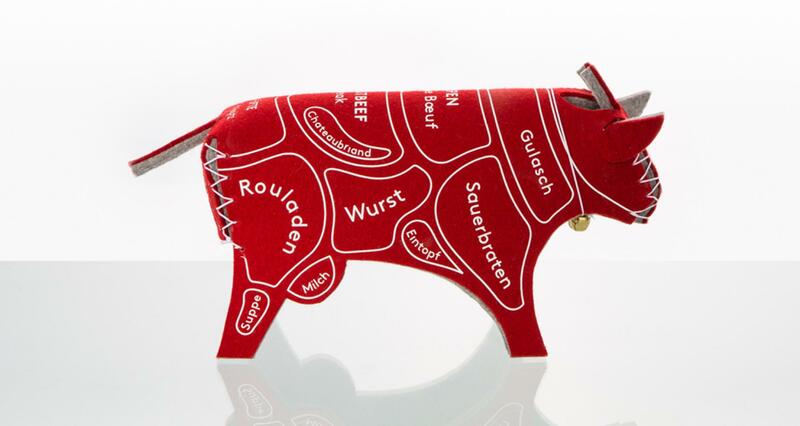 The «Wendetiere» reveal impartially where our meat comes from. «Berta» and «Franz» consist of a double layer of wool felt and genuine leather. They are intended for people of all ages from three years who consume food. 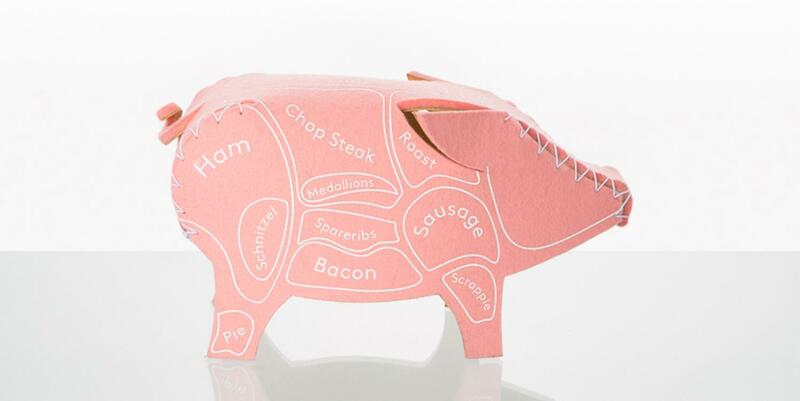 Once you have turned the shell by hand, the animal will show its inner life: on the left flank the meat parts and on the right its respective typical dishes. 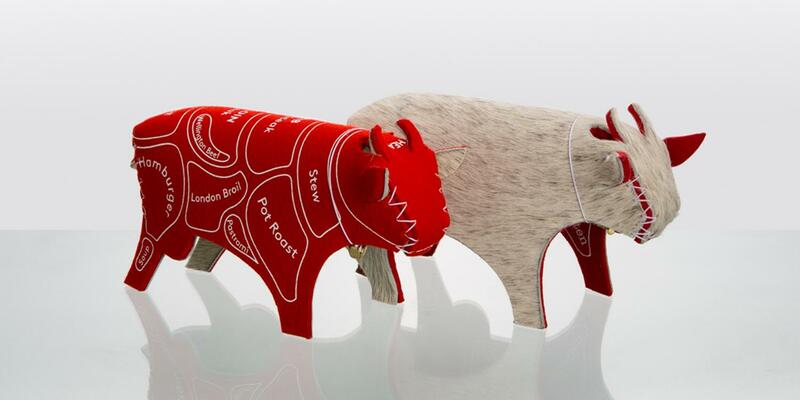 One punching that is sewed with an elastic thread makes the threedimensional animal body. The heavy but flexible structure of the sandwich construction makes the turning process possible by being stabile at the same time. Every piece measures around 30 cm x 17 cm x 10 cm. The wool felt is tested for harmful substances according to Oeko-Tex® Standard 100. The German and English versions of the animal carcass and meal plans do not refer to a particular region or country. They collect familiar and unfamiliar terms of different German and English language areas. 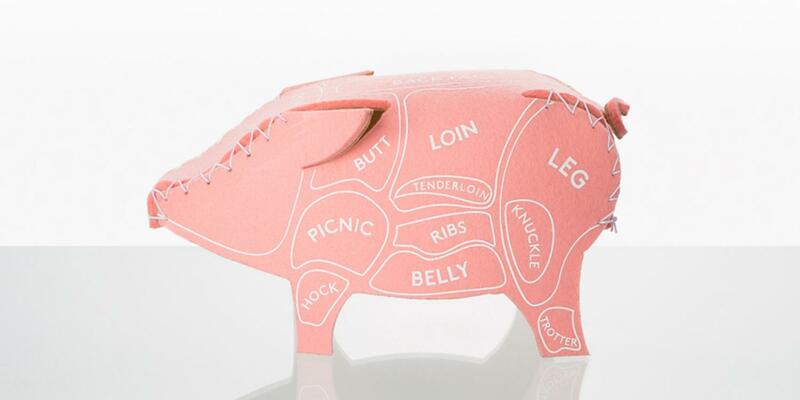 The cow and the pig can be used for example on dinning tables, in kitchens, but also on butcher’s counters, in restaurants or in daycare centres and schools. Not only the product itself, also the production is expected to remain faithful to the objective of re-alienation. So I use authentic, high-quality materials: wool felt and real skins (Cow coat and saddle leather). The production of a first small series (50 animals at all) is taking place in Switzerland at Ruckstuhl, Langenthal, and in the printing studio of the University of Arts Bern (HKB) by my own manufacturing.